Visit lastnightadj.com to get tickets! 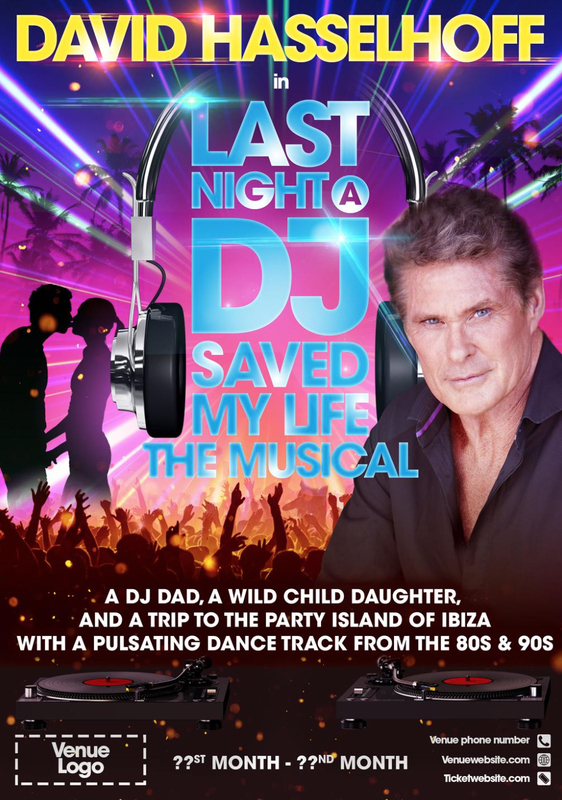 Blackpool Opera House is to present the world premiere of the brand new musical Last Night a DJ Saved My Life starring David Hasselhoff. The Hoff, as he is known to his fans, will lead the cast in the world premiere when it opens in Blackpool this October. The Hoff plays an extrovert, party-going, DJ and nightclub owner on the party isle of Ibiza at the start of the 1990s. His teenage daughter arrives to stay for the summer and he has to cope with being a single parent to a girl who wants to meet boys and live the party life. 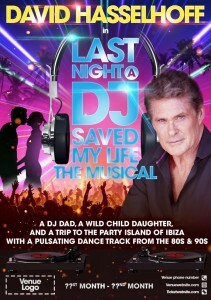 Suddenly his motto is “do as I say, not as I did!” The world premiere of Last Night a DJ Saved My Life is on Friday October 16. It will then run from Saturday 17 to Sunday 1 November. Tickets for Last Night a DJ Saved My Life go on sale at 10am on Friday 27 February and are available from www.wintergardensblackpool.co.uk.